Time and again, Mary Kay representatives (and other scammy MLM participants) brag that their “marketing plan is taught at Harvard”. Well, it’s not. 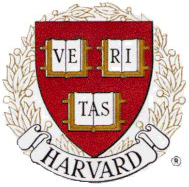 Many Mary Kay distributors are convinced that the “Mary Kay marketing plan” is taught at Harvard. It’s not, and even if it was, that wouldn’t mean Mary Kay is necessarily a good or legitimate marketing plan. The Truth: Harvard Business School has published case studies on a variety of businesses, including Mary Kay, but that does NOT mean that MK is “taught” or “studied” at Harvard. The particular business plan in question focused on the prizes offered by Mary Kay, and how effective they are at encouraging consultants and directors to buy more. One of our members went right to the source and asked Harvard about exactly what is and is not taught there. And the response was clear: Harvard Business School does NOT teach multi-level marketing and does not endorse it in any way. Of particular concern these days is the increasing number of claims that the business school endorses multilevel marketing, in which distributors earn commissions on products that they or their recruits sell. “If the registrar’s office had a dollar for every call we’ve had over the years over whether Harvard Business School teaches multilevel marketing or has studies on it, we could throw a very nice Christmas party,” reads one internal business-school memo. “This claim is harder to kill than a dandelion. Many of the current myths about Harvard and multilevel marketing stem from a 1984 article widely used to recruit distributors, multilevel experts say. The article, by multilevel consultant Beverly Nadler, states without attribution that Harvard teaches multilevel marketing. So let’s quit perpetuating the Harvard lie, shall we?